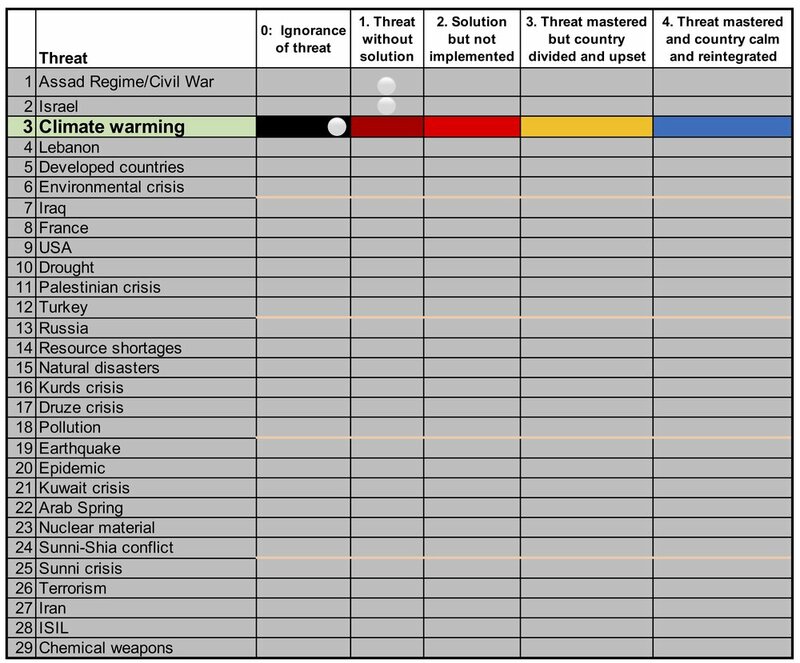 Determining the importance of the threat of Climate Warming relative to other threats to the country. As shown in the chart below, the threat of the Climate Warming ranked 3rd most important. Assessing and classifying the progression of the Syrian response to climate warming (indicated in the same row by the colored rectangle). Of the 25 prime actors who participated in the assessments, more agreed that climate warming falls under the category of '0: Ignorance of threat'. These prime actors are not aware of climate warming as a threat to the country.